Another recipe from the Grandian’s recent slow food list. 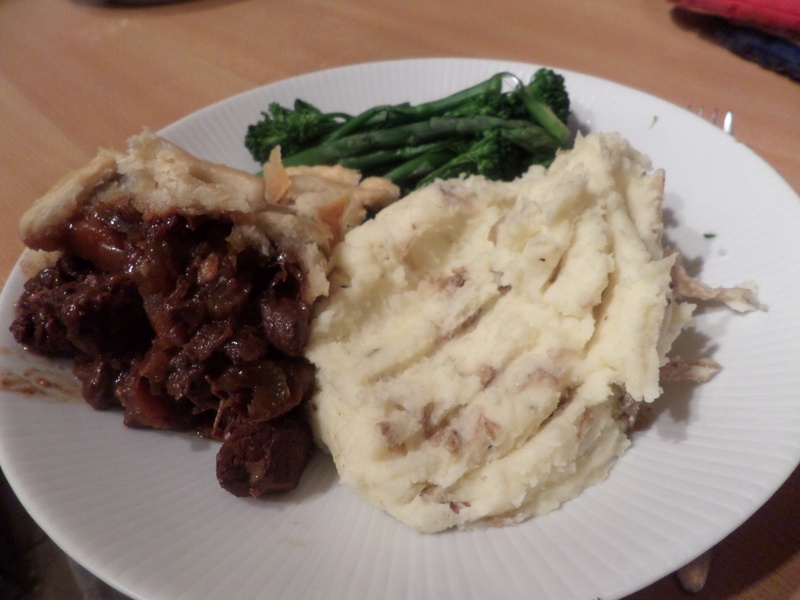 It’s a slow cooked venison casserole with a suet pastry pie lid – mmm! 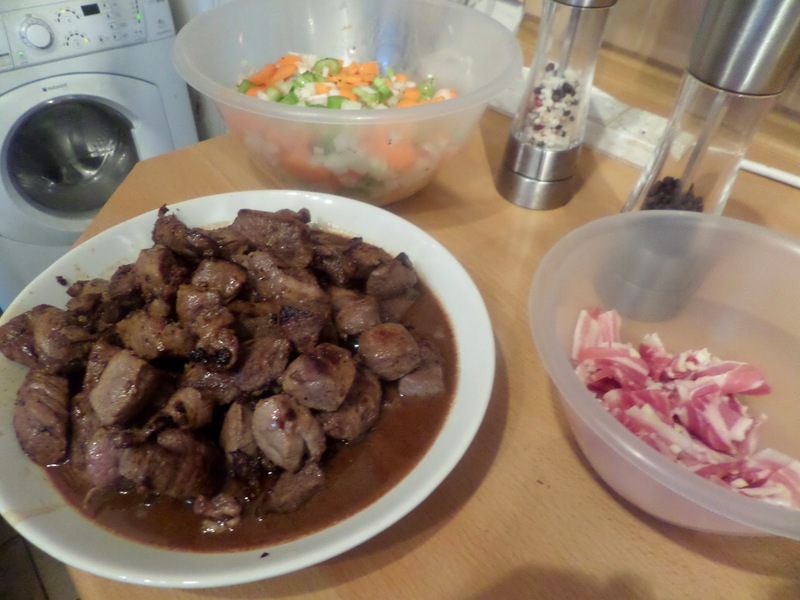 The venison we got from our local Food Assembly. I picked up the order from our local pub on my bike. Grauniad recipes with locally produced food from a co-op picked up on my bike: I think I just aced being middle class! 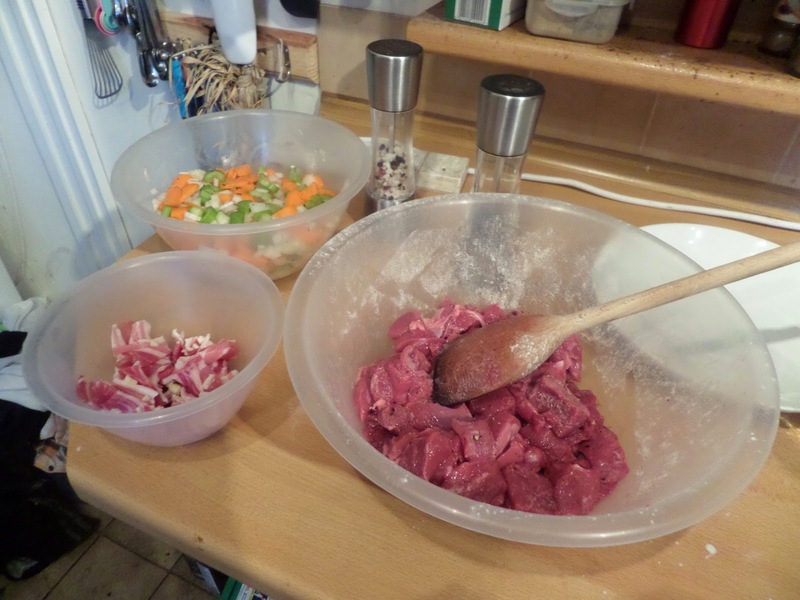 Start by getting mise en place. Then fry off the meat in batches, letting the Maillard reaction give it some nice deep brown colours. Then deglaze the fond with white wine and pour that over the resting meat. 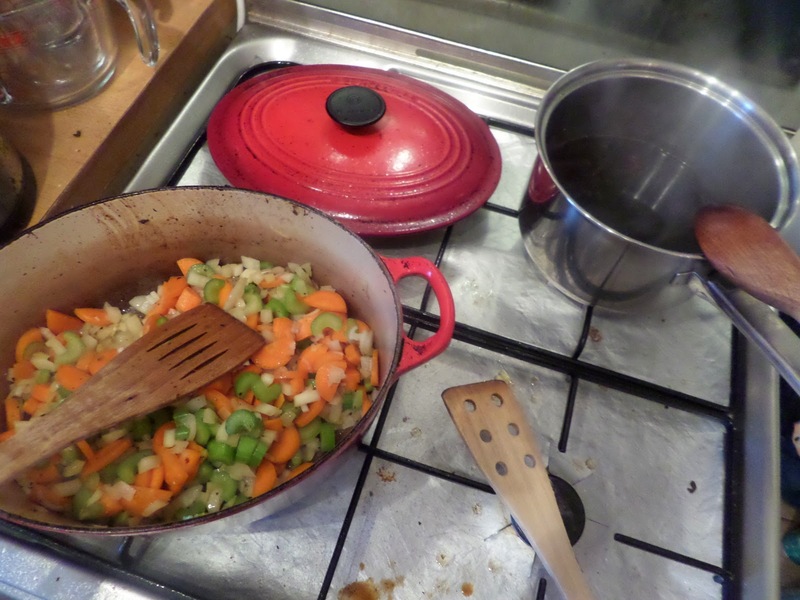 Then soften a mirepoix before adding bacon and garlic, while the prunes poach in a mix of red wine, white wine, red wine vinegar and red currant jelly. 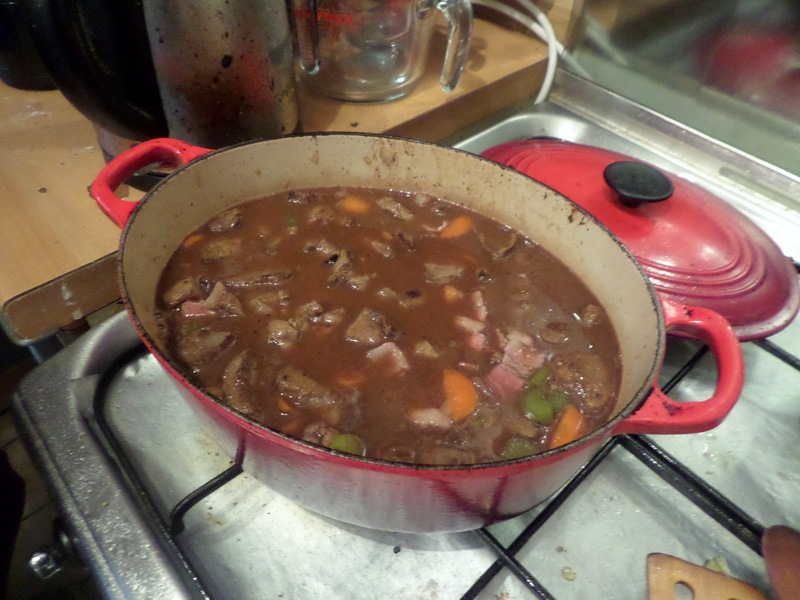 Add everything to the pot, top up with stock until it just covers the meat, pop in a bouquet garni, and bring to a simmer. Then a lid goes on (I was expecting it to call for a cartouche here but it didn’t) and it’s into a 160C fan oven for two and a half hours, then another hour at the oven’s minimum temperature. Even with the lid on it’s really reduced. We had a quick taste… and it took a huge amount of will power not to just stand there and eat it all right there and then! 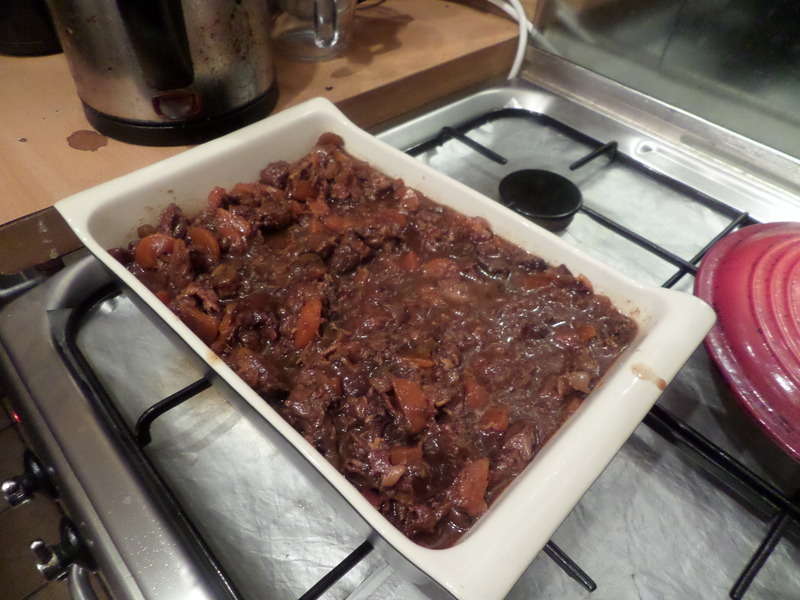 However we managed to let it rest for a couple of hours before transferring to a pie dish. Then we ate… and it was so good. 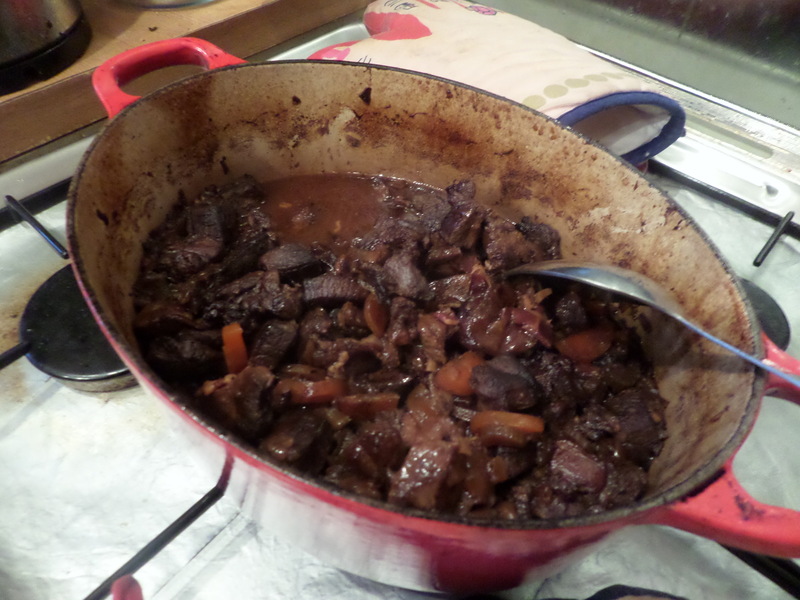 I’ve always liked the flavour of venison, but it’s always been tough, but this was lovely and tender and all falling apart. The pastry was so crumbly. The sauce was was full of flavour. Plus mash and greens… mmm! 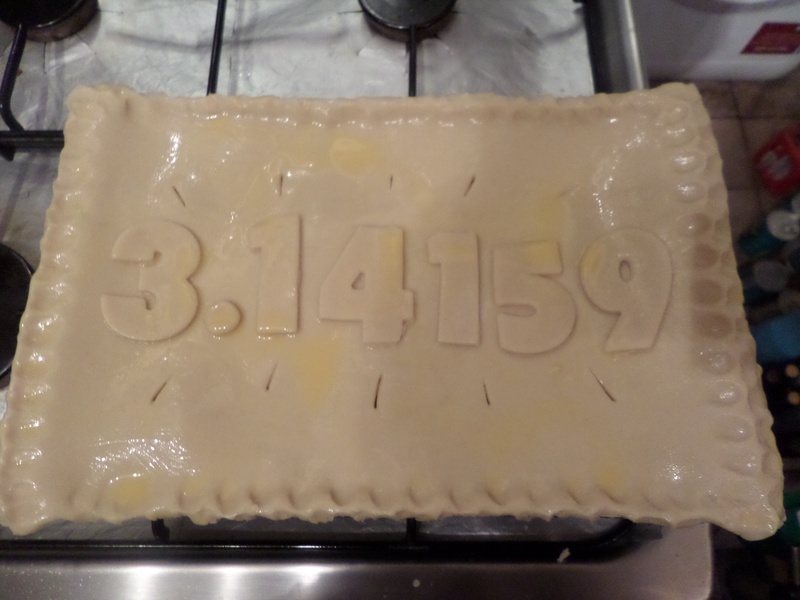 What a great pie! 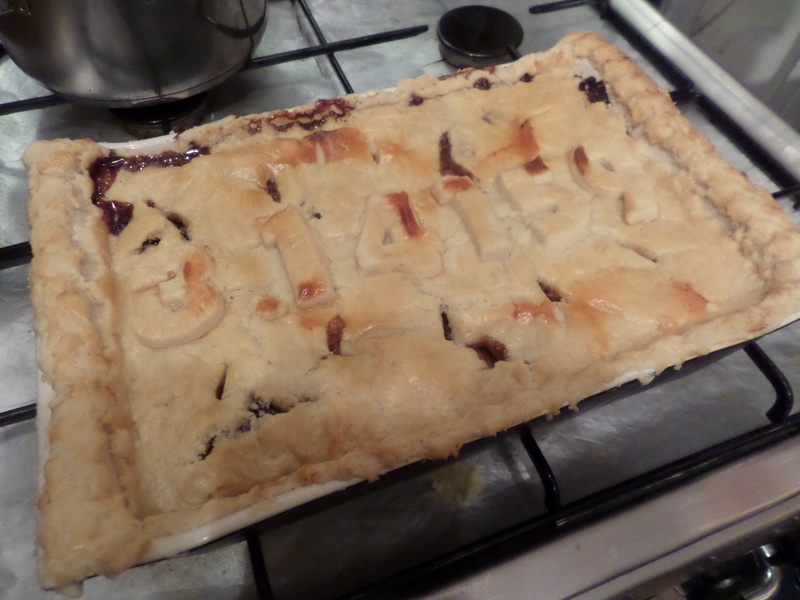 It’s made me want to make another pie using Food Assembly ingredients, which is exactly what I’ll be doing next week. I’ll pick up all the ingredients on Thursday night, make the filling and pastry separately, then we can quickly bake up on Friday after work. The pastry lid looks terrific.